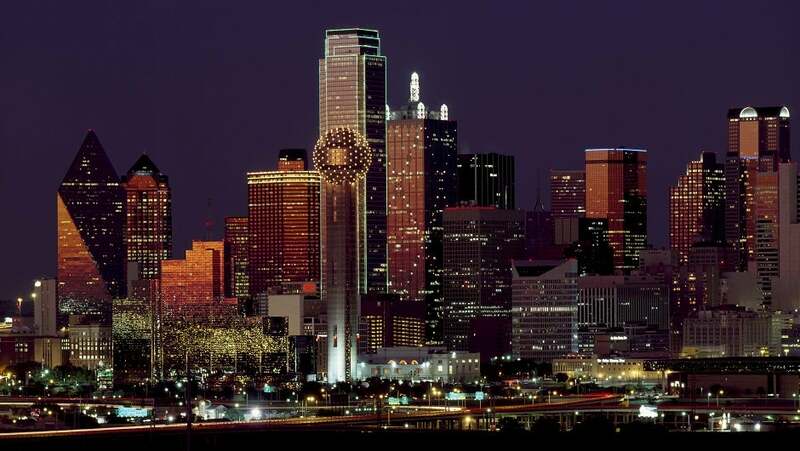 The Dallas area is the economic and technological hub of North Texas, which is no easy feat. More impressively, it’s officially the largest inland metropolitan area in the United States (Sorry, Chicago). But what does the startup community look like? Dallas, and the entire DFW area (an acronym that stands for “Dallas-Fort Worth,” not “down for what,” for those wondering), holds plenty of signs of a healthy startup world: The area is home to over 40 colleges, which means plenty of talent to choose from. 25 of the world’s billionaires live in the area, from Mark Cuban to a Walmart heiress. In fact, you should go ahead and get out your startup city checklist, because the Dallas area hits all the marks fairly well: diverse workforce, growing economy, pro-business community, central location, and an affordable cost of living. However, the venture capital funds can be limited, and the area’s still getting used to startups, so you won’t be coddled. In short, Dallas hosts a startup ecosystem that’s more fresh than anything the massive hubs on the east or west coast offer. Since all those pros and cons deserve a closer look, here’s a list of CEOs and startup founders who spoke with Tech.Co on the variety of challenges and benefits to life in the Metroplex. Any region that welcomes different perspectives will remain a healthy, intelligent community, so I’m happy to report on two founders who have opened a window into a few Dallas demographics worth mentioning. First up: Blake Burris is the CEO of Flux, a company figuring out how to craft an AI-based robot to help people grow food — even on Mars. “Dallas is a melting pot of talented and eager professionals serving up ideas that can redefine life for many on a global scale. This incentive and passion in part is driven by the fastest growing population in Texas, which is seniors age 60 and above. Specifically in Dallas, one-third of seniors in Dallas are caregivers for their spouses or elderly parents many of which are living with memory care issues. “When I got here I didn’t even have an apartment lined up, much less a place to work from, but within a few weeks I met the owner of a local incubator that let us work out of his space for free (since it would be temporary while we got stuff figured out). Just from working out of downtown we familiarized ourselves with other founders, were invited to join mastermind groups and got access to workshops and speaker series practically overnight. Coming from a routine of late night coding, copywriting and online research sessions in an apartment the difference was like night and day. Cole Egger, CEO and co-founder of Cosmunity, has been an entrepreneur in the Texas city for the last 13 years, creating a dozen companies from the ground up as well. “Cons: In Dallas it’s easier to start a hedge fund than a tech company. More so than on the west and east coast, women can often feel they are outsiders in the business community, especially female founders. The start-up culture reflects the culture of Dallas: if you’re in oil, gas, or real estate Dallas is the place to be. From Marshall Hudes, who’s a co-founder of Truss, a leasing platform that helps businesses find office spaces in Dallas. “One major takeaway from building startups in Dallas is the benefit of hiring local talent. Like other cities, Dallas has its own unique culture, and finding a person that best matches the city’s personal vibe works to everyone’s benefit. People from Dallas naturally connect with local businesses in a way outsiders otherwise struggle. One thing everyone appears to agree on: The region is currently on the upswing, and there’s no telling what the startup ecosystem will look like in another five years. Check out our Dallas tag for more articles detailing the technology trends and greater startup community life in the region. Apply to be one of the Top 100 semifinalist startups of Tech.Co’s Startup of the Year Competition that heads to Innovate! and Celebrate in Silicon Valley for the chance to win $250K in prizes. Get noticed by investors, tech leaders and influencers. Apply here!